AXION Shape is a group of sealed inflatable objects – a safe and silent alternative to traditional inflatables powered by permanent blowers. Each AXION Shape is made of strong polyester skin and sealed polyurethane bladder, providing excellent stability and safety even in extreme weather conditions. Since it is sealed, there is no need for a permanent electric connection. Simply inflate it by accu or electric pump. The whole object surface is fully printable using dye sublimation technology. Even the largest arch in our product line will fit in your car and can be set up quickly with only 1-2 people. 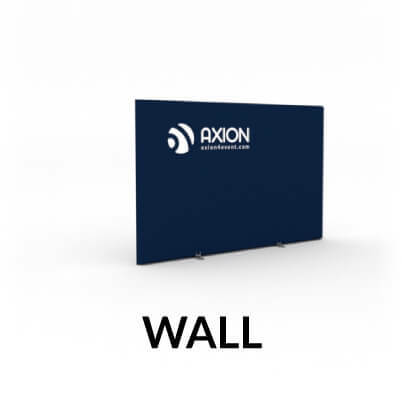 Make your event more attractive – go AXION! 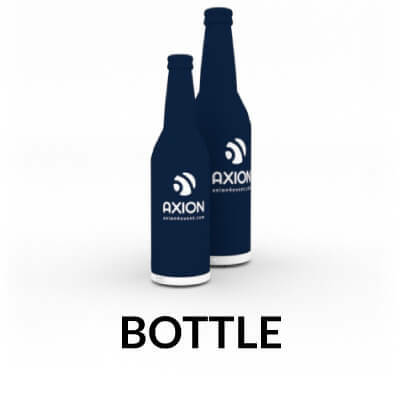 A ballast weight plate, a ballast weight bag or even a combination of the two can be used as an accessory to any of AXION Shape products. 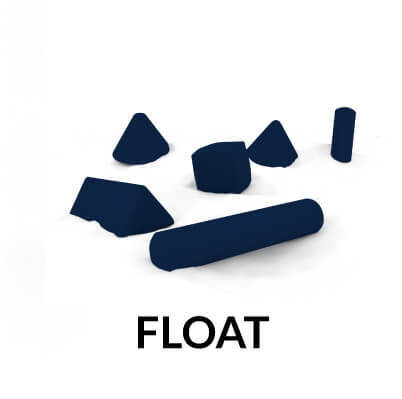 The ballast weighting systems create extreme stability, so that the inflatable object can be balanced to any extreme angle. Securing and stabilizing your inflatable objects at your events will no longer be a problem. 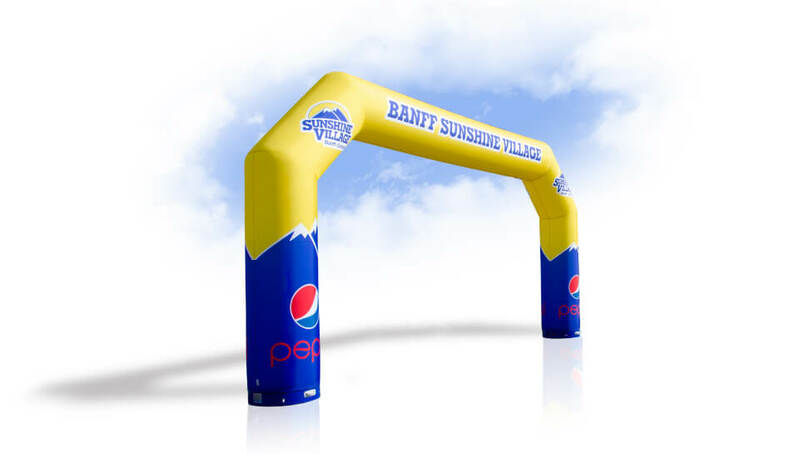 We know that standard inflatable arches are fully dependent on power source, but we’re everything but standard. 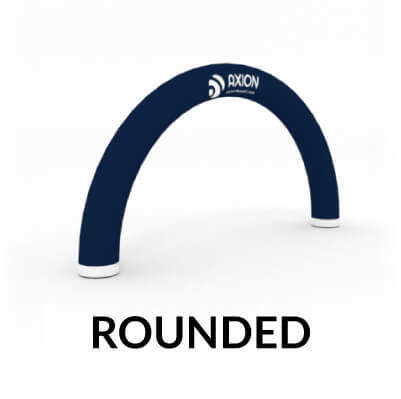 AXION Sealed Arches are independent of power and therefore more weather stable as they are inflated to a higher pressure. For double the safety each arch can be equipped with an automatic pressure control system. We’re here to make your event life easier. Along with the electric pumps, you can inflate your tent using accu pump or a hand pump within 10 minutes. In the case of only a standard electric pump being available, we suggest our customers inflate the structure next to the electric grid and move to where the structure is needed. 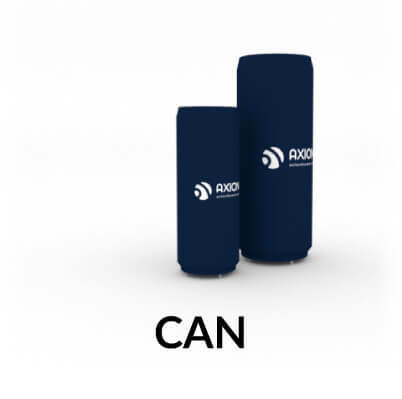 Different types of Arches, Tubes, Cans, Bottles, Blocks or Buoys provide a unique range of pneumatic products to be chosen. 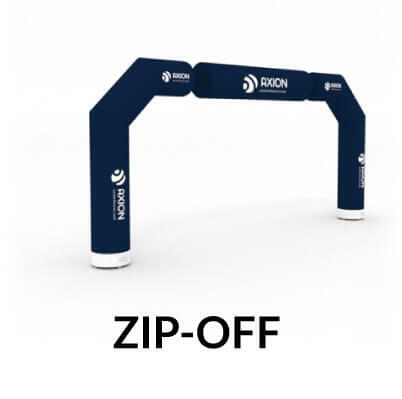 Each type of AXION Shape products are available in different sizes and can provide multi-functional options at your event, for example, the AXION Zip-off Arch. Take the opportunity to brighten your next event, using internal illumination with AXION products. Both 230V plug-in or 12V portable systems are available in white or RGB versions. 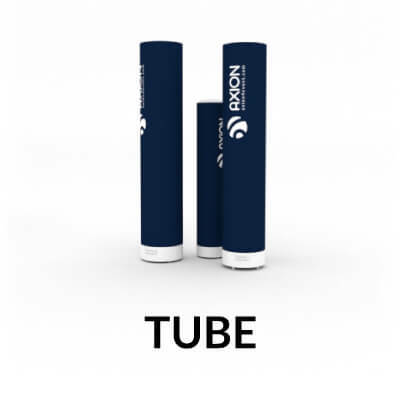 Thanks to the use of modern flat LED sources connected to compact click-in Li-Ion batteries, the illumination of AXION products is easy to do, and effective for any night event. The base of each AXION Shape object works as a transport bag. Just deflate the object and zip-on the top part. You will enjoy similar ease in pack-down with the AXION Arch products where you can simply zip two bases together to get one compact disc. At every opportunity, we like to reinforce AXIONs philosophy: Simple and Practical. 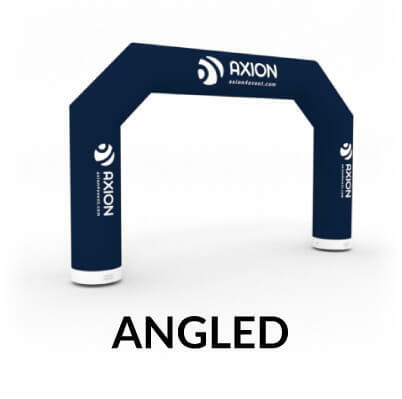 With AXION Shapes, we use the newest technologies in dye sublimation printing and automatic cutting and welding, so each object can have full colour design in high resolution photo quality. 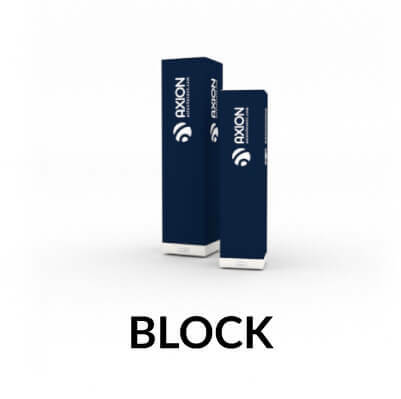 The printed cover/sleeve can be zipped off and easily interchangeable, depending on the message client is wanting to deliver: no unnecessary overspend here, efficiency is key!